This hop is focused on items you'd want/need for your home! After visiting my giveaway, make sure you use the linky below to take a look at the other 40+ blogs and see what they have to offer! Each blog has a minimum prize package of $25 per winner. 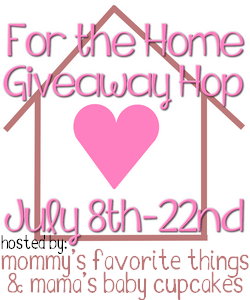 Make sure to check out the Grand Prize hosted on Mommy's Favorite Things blog. 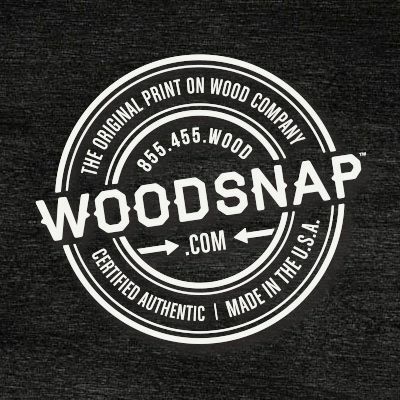 This prize is sponsored by WoodSnap.com and is a great prize of FOUR 12x12 personalized photos printed on wood for a retail value of $280! 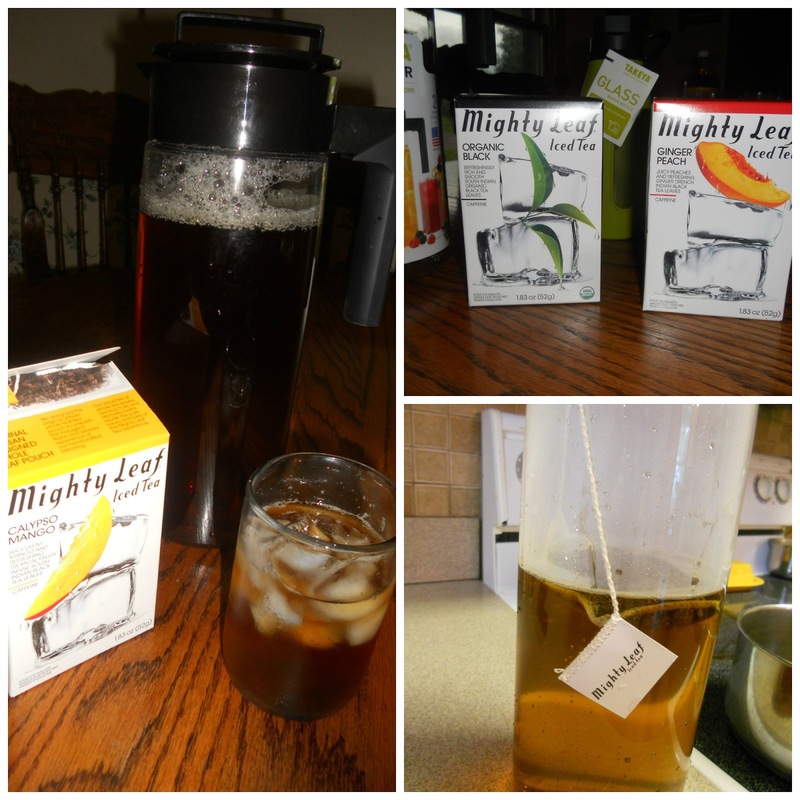 Iced Tea from Mighty Leaf will refresh your home this hot summer season! Check out my full review HERE! This artisan tea is perfectly packaged for brewing 1/2 gallon of iced tea at a time. This tea is out of this world flavorful! 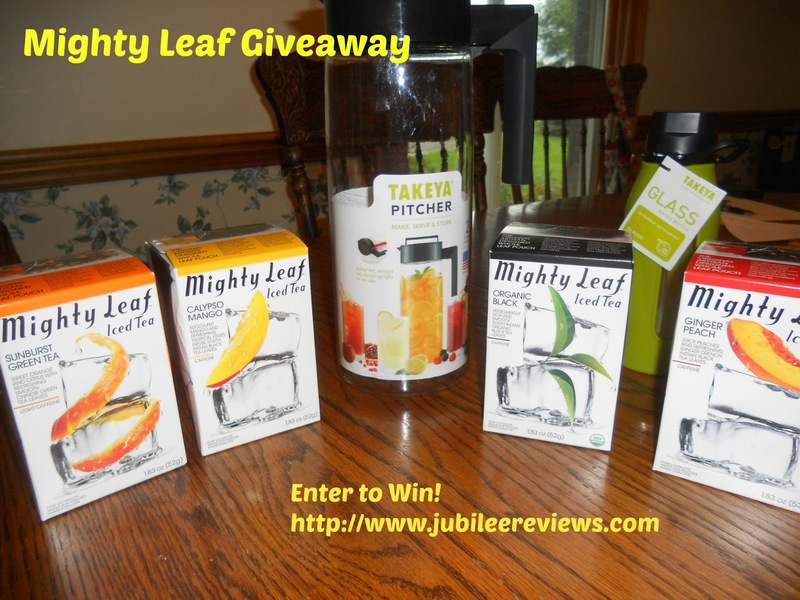 The prize package from Mighty Leaf includes 4 packages of their new Iced Tea pouches, a Takeya Iced Tea pitcher and a Takeya Glass water bottle. Valued at nearly $60! Mama's Baby Cupcakes, Mommy's Favorite Things and the "For The Home" participating bloggers are not responsible for sponsors who do not fulfill prize obligations. I have a recipe for Green Tea Cheesecake. I think the Green Tea Tropical would be fun to try in that recipe. I would like the Ginger Peach flavor. I have only fixed tea the regular way. I think the Green Tea Tropical would work better in my boring old sun-brewed tea recipe, instead of the black tea I usually use! I have mint growing in the garden and I think it would go good with the iced tea! Wow! They have 36 signature tea pouches. I would love to try their pomegranate berry tea and make sun tea. I like just plain strong sweet ice tea. I love throwing in some fresh fruit to give it a fruity taste. Dd's favorite right now is Mango so I'd like to try the Calypso Mango with some fresh mango init! I like sweet tea made with a simple syrup. I would like to try the Might Leaf pomegranate berry tea. I love to make iced tea with fresh fruit so the Ginger Peach tea with fresh peaches sounds amazing! Thanks so much for hosting this giveaway! I like lemon iced tea, and I want to use the Sunburst tea! I really don't have a recipe per se for iced tea, except maybe adding some fresh squeezed lemon juice... but that being said, I would love to try their calypso mango flavor since I would most likely enjoy it! I would use the Organic Black and sweeten it with some lemon or orange flavored stevia. I like Organic Black Tea best with lots of ice and lemon. I make sun tea using several regular black tea bags and one or two flavored tea bags. I'd love to try it with Mighty Leaf's Ginger Peach. I really don't have any iced tea recipes but I'd sure like to try these teas. Thanks! I would love to try the organic earl grey. i love any recipes that mix tea with fresh fruits. I don't really have a tea recipe per se, I just like it unsweet and not too strong. I would really like to try the ginger peach flavor. Thanks! I usually just drink plain green tea but I'd like to try the Green Tea Tropical! I make a mean strawberry basil tea, and I would use a green tea in it! I make homemade iced tea and would love to try the Organic Ginger Peach. I love traditional Indian chai and would love to try the Organic Masala Chai. I mkae a Russian Tea, and I would love to try one of their green teas in it. I usually just make my tea plain - sometimes I add a little honey. I'm a big green tea fan and would love to try the sunburst green tea! I just like a nice cup of tea or sun tea. I would use organic spring jasmine. We like a pitcher of tea with 1 cup of sugar. Devine! It'd go well with the Sunburst Green tea. I drink green tea everyday...I make a sub tea in the summer and I think the Green Tea Tropical would be the one I want to try. As for a recipe...I just drink mine with lime and a little agave sweetener(better for you than sugar)...yum! I like fruit teas, so I would try the one with mango/tropical. I love to make Sun Tea, and I would love to try it with the Mango Calypso! Peach & ginger with fresh ginger. I like to make spiced muffins using tea. the organic masala tea would work wonderfully for my recipe.